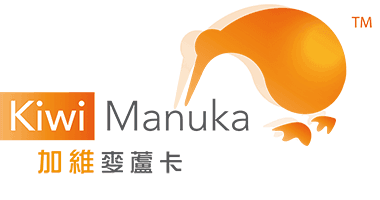 On Sunday the Rotohokahoka D North 4D Trust voted to proceed with developing a joint venture partnership with New Zealand Mānuka Group, New Zealand’s leading, socially responsible innovator of mānuka products. The Rotohokahoka Trust represents Ngati Waoku, a hapu named after a famous female ancestress of Whakaue-Raukawa lineage. As explained by its Chair, Paora Tapsell: Waoku’s descendants have maintained uninterrupted possession of an amazingly estate for 16 generations. From Kawaha Point to Rotohokahoka (Lake in the sky) deep in the Mamaku we have been the trustees of an incredibly diverse landscape of flora, fauna and waterways, which have served the Rotorua community for generations. New Zealand Mānuka Group has committed to developing the Trust’s whenua of Ngati Waoku ki Rotohokahoka, beside Skyline Skyrides in Rotorua. Subject to the usual regulatory consents, the new tourism venture has an estimated project value of over $30 million dollars and is targeting over 180,000 local and international visitors per annum. The Joint Venture will create a unique mānuka themed visitor experience, showcasing the critical importance of sustainably managing NZ’s still rich biodiversity before its too late. International award winning architect, RTA Studio and multimedia design house, The Gibson Group have been engaged to bring a unique feel to the Rotohokahoka Mānuka visitor experience. Phil Caskey, Chairman and Founder of New Zealand Mānuka Group, explains that the Mānuka Story experience will provide visitors with hands on and locally guided viewing of a working mānuka plantation, beekeeping and honey operation while showcasing the historical importance of mānuka in traditional Māori medicine. Its vision is to also reflect the unique cultural innovation when Māori and Pākehā values are engaged in a co-productive business environment. Over the decades the Trust has managed its strategically located land with patience, waiting for a like-minded organisation to appear and be willing to partner to not only provide a sustainable revenue for its beneficiaries and wider Arawa community, but also create a platform to tell Ngāti Waoku/Te Arawa’s story to the world. Chief Executive of New Zealand Mānuka Group, Karl Gradon, says that “the partnership is one where all parties are fully aligned and excited by the opportunity to share the Story of Mānuka to a truly global audience in Rotorua. Being the industry pioneer, with a history of innovation and value sharing with landowners, we can join with the Trust and tell a uniquely New Zealand story in a way that can’t be matched by any other organisation. The location of this amazing whenua allows us to tap into the heart of the rapidly growing Rotorua health and wellness visitor hub, while creating employment for the wider community.